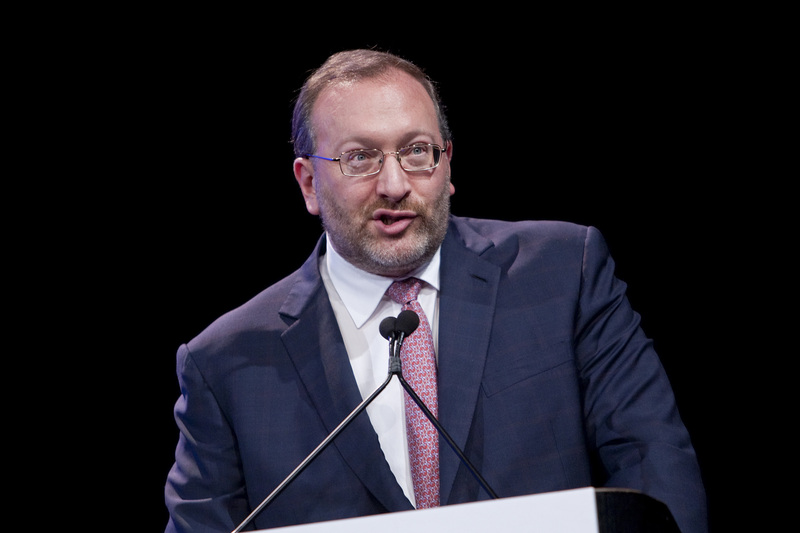 Seth Klarman is the billionaire founder of the Baupost Group, a Boston-based hedge fund. Through his charitable organization, the Klarman Family Foundation, Klarman is a prolific funder of an array of rightist “pro-Israel” groups. 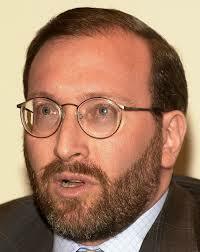 In 2012, Klarman helped establish the Israeli newspaper The Times of Israel. He has been the paper’s primary funder and serves as the chairman of its board. Its editor, David Horovitz, is the former editor of the right-wing Jerusalem Post. Klarman was mentioned in an April 2015 New York Times piece that examined why Republicans are “more fervently pro-Israel than ever.” The article linked such sentiment to being “partly a result of ideology, but also a product of a surge in donations and campaign spending on their behalf by a small group of wealthy donors.” The piece revealed how Klarman contributed $100,000 to the 2014 Senate campaign of Tom Cotton (R-AR), a stringent hawk who has received strong support from numerous other major “pro-Israel” figures like Paul Singer and Bill Kristol. Klarman is also a major funder of The Israel Project (TIP), a hawkish advocacy organization. A member of TIP’s board of directors, he gave the group nearly $4 million between 2008 and 2011. Other groups that have received Klarman funding are the Washington Institute for Near East Policy (a spinoff of the American Israel Public Affairs Committee), the neoconservative Foundation for Defense of Democracies, the Middle East Media Research Institute, Daniel Pipes’Middle East Forum, and the David Project, which has opposed the construction of mosques in Boston. Klarman has also donated to the Central Fund of Israel, an organization that supports Israeli settlements in the Occupied West Bank. According to Forward, Klarman gave the group $285,000 between 2008 and 2010. However, Klarman has stated that he is personally against settlements, telling Forward that he thinks settlement building “was a bad policy from the beginning and continues to be a bad policy.” He added that he no longer donates to the Central Fund of Israel. Klarman has also purported that criticism of Israel is similar to the rise of Nazism. “I am scared of this moment in history. When you look at the history of anti-semitism … hatred of Jews has shifted to hatred of the Jewish state. … When Israel is singled out like no other country … [it recalls the] slow march of Hitler. [There is a] steady march in the world, from college campuses to the U.N. People would love to dismantle the Jewish state. … When Israel is singled out, when Jews are singled out, it’s absolutely terrifying,” he stated during an interview in 2011. The foundation has also supported a number of controversial Islamic groups, including the American Islamic Forum for Democracy founded by Zuhdi Jasser, a controversial promoter of surveillance of Muslim communities. Klarman is also a prominent funder of the American Islamic Congress, an organization that the George W. Bush administration helped start. Seth Klarman, “A note from the chairman,” The Times of Israel, February 12, 2012, http://blogs.timesofisrael.com/a-note-from-the-chairman/. Josh Nathan-Kazis, “The Softspoken Man Behind Times of Israel,” Forward, February 29, 2012,http://forward.com/articles/152169/the-softspoken-man-behind-times-of-israel/?p=all. Eric Lipton, “G.OP.’s Israel Support Deepens as Political Contributions Shift,” The New York Times, April 4, 2015,http://www.nytimes.com/2015/04/05/us/politics/gops-israel-support-deepens-as-political-contributions-shift.html?smid=pl-share&_r=0. Robert Spencer, “Jews are Under Siege: A Call for Action,” Jihad Watch, June 18, 2006,http://www.jihadwatch.org/2006/06/jews-are-under-siege-a-call-for-action. Philip Weiss, “Why is Charlie Rose hugging Seth Klarman?” Mondoweiss, November 30, 2011,http://mondoweiss.net/2011/11/why-is-charlie-rose-hugging-seth-klarman. The Klarman Family Foundation, “Global Jewish Community and the State of Israel,” http://klarmanfoundation.org/jewish-and-israel/. Max Blumenthal, “Weddady’s Free Arabs, American Islamic Congress and the pro-Israel funders who helped them rise,” Electronic Intifada, May 7, 2013, http://electronicintifada.net/content/weddadys-free-arabs-american-islamic-congress-and-pro-israel-funders-who-helped-them-rise. Max Blumenthal, “American Task Force on Palestine finds funding from anti-Palestinian billionaire and a repressive monarchy,” Mondoweiss, November 27, 2013, http://mondoweiss.net/2013/11/palestinian-billionaire-repressive.